The Automatic Train Undercarriage Inspection Technology has many advantages over other types of train security technologies. Last week we looked at our Automatic Under Vehicle Inspection Systems and the difference between the permanent and mobile versions. This week we are focusing on the Automatic Train Undercarriage Inspection Technology. Used in a similar way to the AUVIS, this technology is intended to quickly and accurately scan each train car’s undercarriage as it passes over the system. 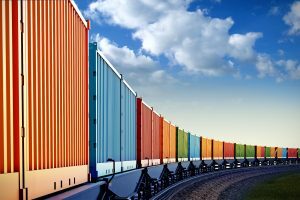 The system is perfect for passenger train stations, border crossings, bridge crossings, or loading and unloading points. Let’s look more closely at how the Automatic Train Undercarriage Inspection Technology works, and the advantages it has over other train security systems. Much like the AUVIS, the Automatic Train Undercarriage Inspection Technology consists of an embedded platform scanning unit that fits between train rails and takes two high-resolution, virtual 3-D images of each car’s undercarriage. These images are stitched together using the same software as the AUVIS to create a “fingerprint” for each car. The system then compares the fingerprint to a “safe” car to determine if there is a threat. If anything is found, the system will immediately place a red ring around the foreign object or modification and alert the operator. The Automatic Train Undercarriage Inspection Technology is fast and accurate. It only takes two or three seconds for the system to automatically compare each rail car image to a “safe” car of the same design in the database and determine if there is a threat. The system is less reliant on the knowledge, attention span, and intervention of a human operator than more traditional methods like line scanning systems and recorded video streams. This entry was posted on Friday, February 17th, 2017 at 11:19 am. Both comments and pings are currently closed.